Practitioners of southern hospitality can no longer afford to rest on their laurels. Not when “northern hospitality” is giving them such a run for their money. Just ask the lady who coined the term. 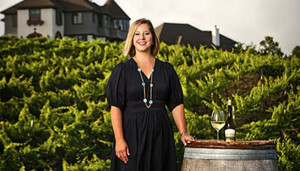 Marie-Chantal Dalese recently celebrated her one-year anniversary as CEO of Chateau Chantal in Traverse City, Michigan. And if anyone knows how to extend a warm northern welcome, it’s Dalese. 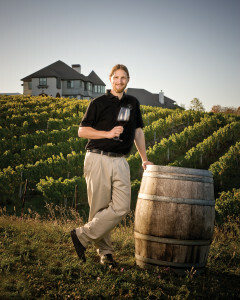 The only daughter of the winery’s founders, Dalese grew up on the estate and worked there in the capacity of Director of Marketing prior to taking her place as CEO. Chateau Chantal is her idyllic world and, for a little while, it can be yours, too. Its 65 ridgetop acres incorporate a winery, vineyards, bed and breakfast, residence, plus six additional private home sites – not to mention some of the most picturesque views in Michigan. Dalese’s heartfelt focus on hospitality touches visitors year-round at Chateau Chantal, and there’s a little something for everyone. 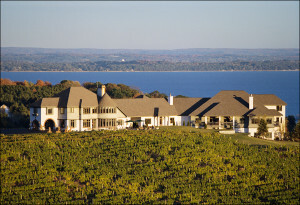 If you need to reconnect with nature, the local trails and beaches of the Traverse City region will be a balm for your soul, and you’ll be welcomed “home” to Chateau Chantal by a friendly staff, a roaring fire, and, of course, fantastic wine. 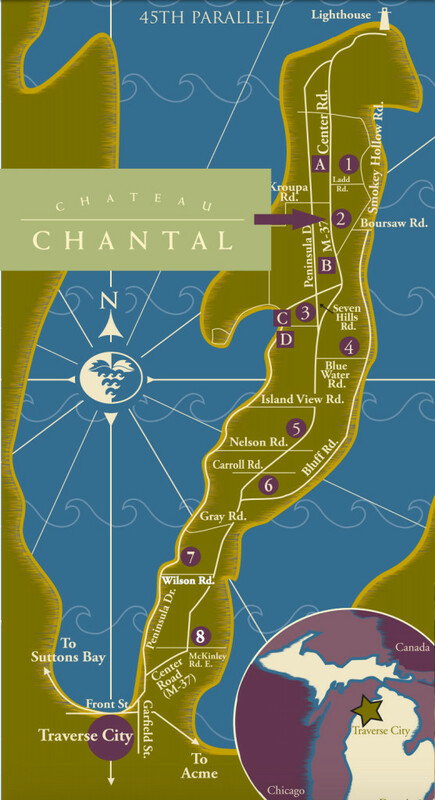 Chateau Chantal is one of nine wineries situated on the Old Mission Peninsula, a slender, 20-mile-long arm reaching toward Lake Michigan and hugged by the East and West Grand Traverse Bays. At the base of the peninsula sits Traverse City, one of Michigan’s premier tourist destinations. Traditionally a favorite of families, the past 20 years have seen Traverse City growing in the esteem of foodie travelers – and it’s no wonder. Traverse City is replete with restaurants embracing the farm-to-table movement, as well as distillers, brewers, cider producers, and wineries like Chateau Chantal. Collectively, they’re helping to amplify Dalese’s concept of northern hospitality. Chateau Chantal sources fruit from its 100 acres on Old Mission, as well as from outside vineyards. Their line of Malbecs, for example, come from Argentinian grapes. Wherever you are, you can bring the flavors of Chateau Chantal’s Michigan into your home by shopping at www.ChateauChantal.com. But if you’re burning up with cabin fever, consider fleeing to Chateau Chantal where, at any time of year, you will be welcomed by Dalese’s northern hospitality and treated to just the kind of getaway you crave. Once we’ve completed the New Bottle Experience review and rating, it will be published here. Cheers!